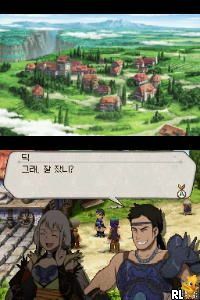 OverviewThe only installment in the Suikoden series for the Nintendo DS moves to a new universe with 108 new characters. Now you can add videos, screenshots, or other images (cover scans, disc scans, etc.) for Genso Suikoden Tierkreis (KS)(d0b) to Emuparadise. Do it now!